A renovated basement space for graduate students and teaching assistants. 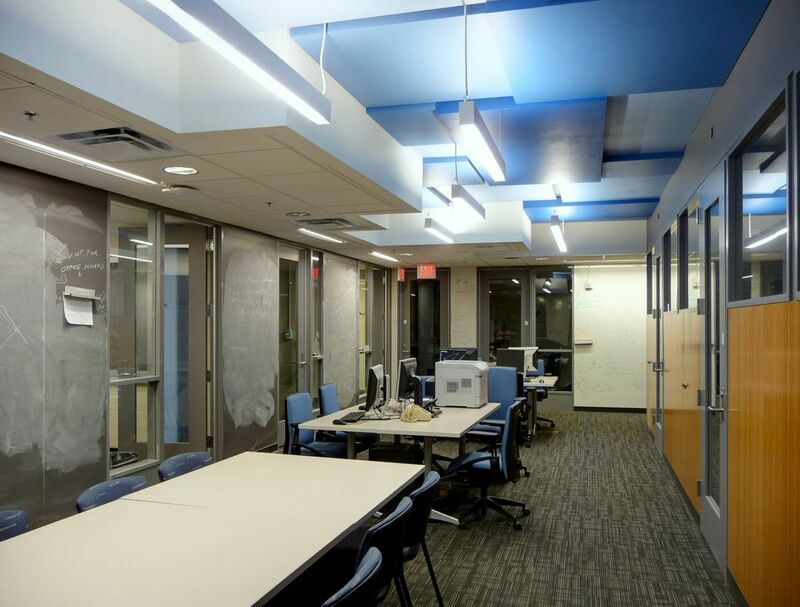 Efficient work areas, options for privacy or community, and noise control were priorities. 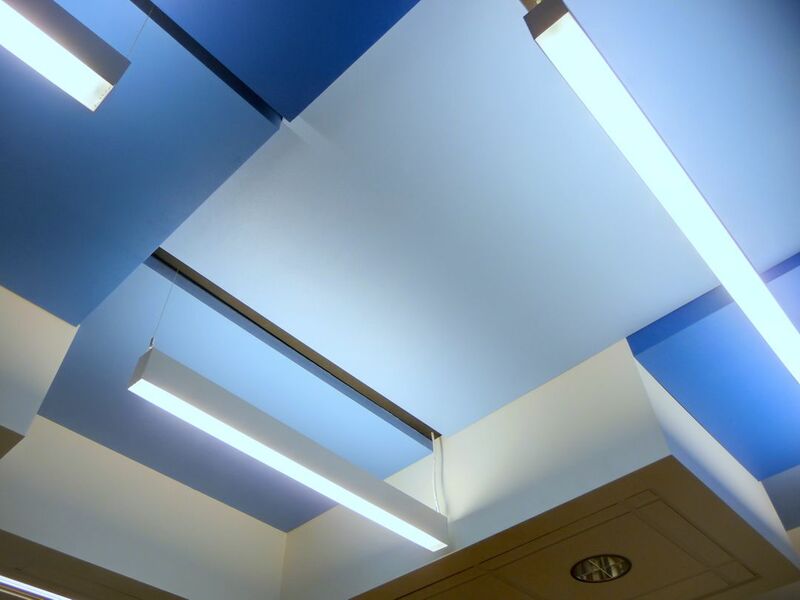 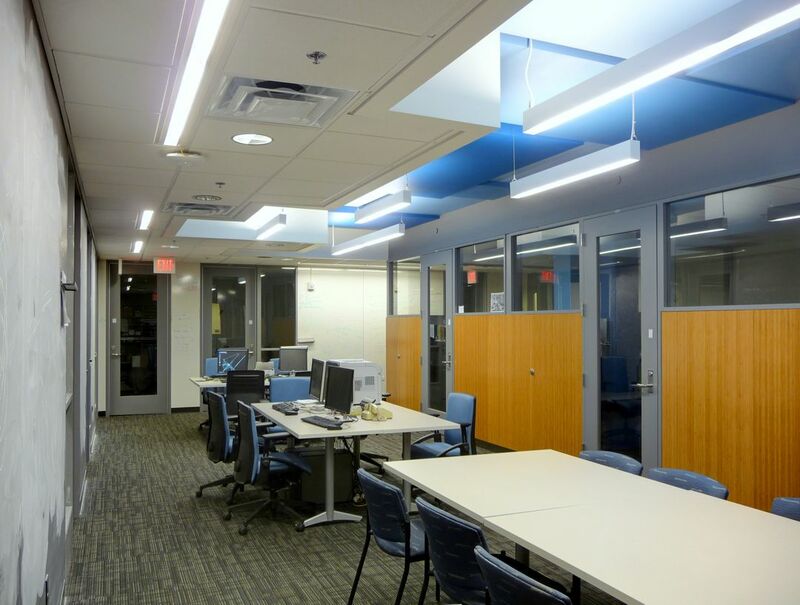 Blue acoustic panels on the ceiling minimize noise while enlivening the space. 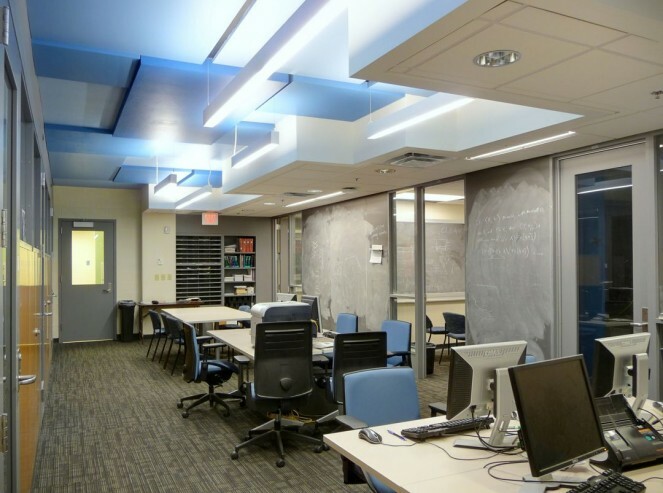 Full-height blackboards on the walls provide areas for work and discussion. Small conference rooms of different sizes allow groups to meet privately.